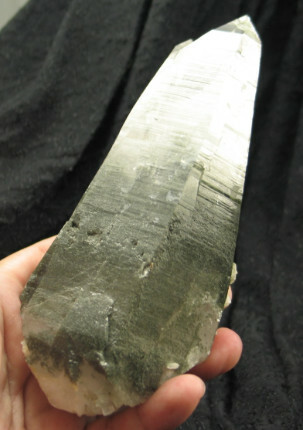 This is a stunning Himalayan Quartz point. 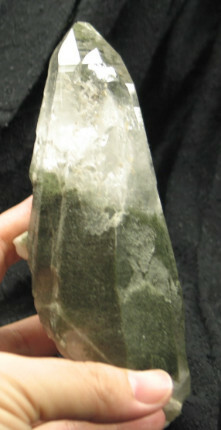 The chlorite phantoms are dense and rich, with lovely clarity at the twin termination. There are also rainbows and record keepers at the termination. Her energy is warm and sustaining. It refills your well when you feel run down. A perfect companion for a caregiver or healer, for we often take care of others before ourselves. She brings a sense of peace and calm when you lay her on your chest. 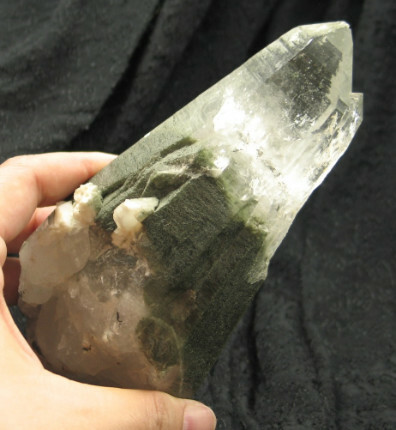 When we say high altitude Himalayan Quartz we aren’t kidding, these crystals are mined by hand at an extraordinary 23,000 ft! 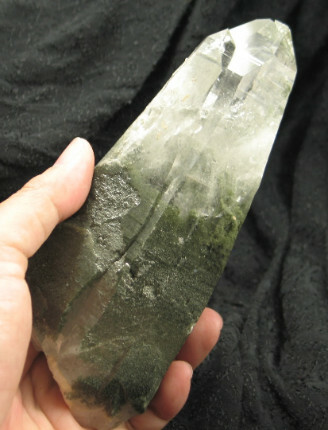 Most high-altitude quartz is mined around 10,000 - 16,000 ft. Our crystals are from the Ganesh Himal whose peaks lie mainly on the Nepalese side of the border, however some peaks lie on the borders with Tibet. 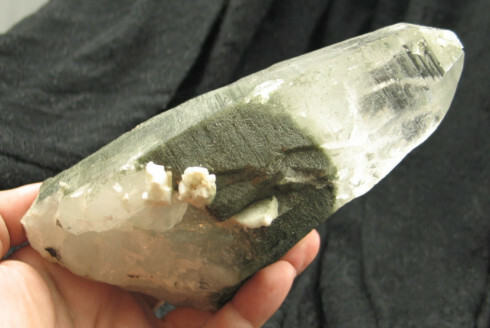 It’s only a man-defined border that defines these as Himalayan crystals instead of Tibetan crystals. 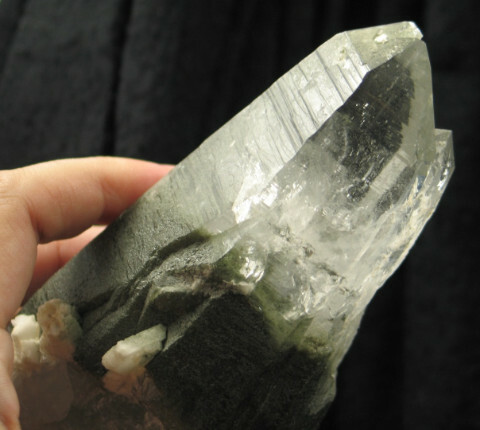 We have a beautiful array of these crystals including citrine, forest green chlorite phantoms, hematite inclusions and much more. 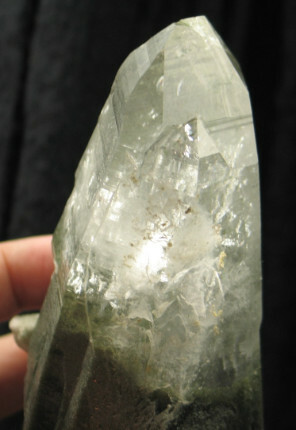 You’ll see them referred to as either Himalayan crystals or Nepalese crystals in our listings. 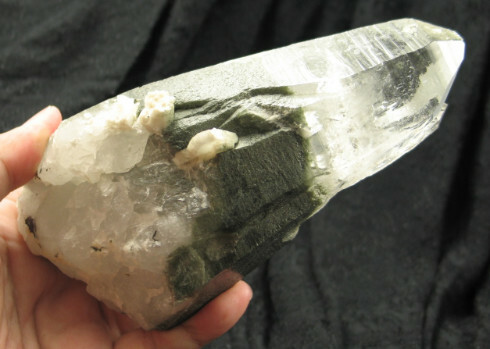 There is truly a profound difference in the vibration of the energy of these crystals. It is very high and pure, yet still deeply connected to the resonances of the earth. You can feel both aspects of the divine energy as well as the earth energy; it’s such an amazing experience. 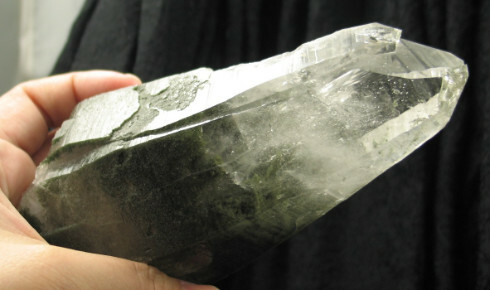 These crystals have been honored from before they were mined. 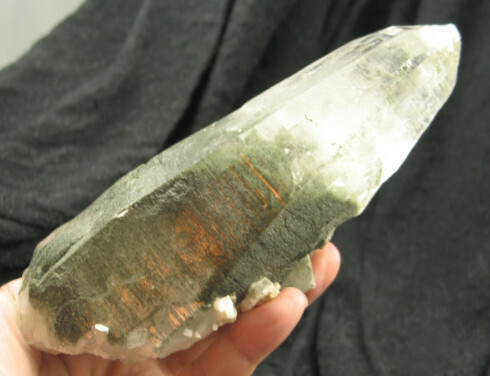 The miners hand harvest the crystals with deep respect to the mountain and the crystals. These miners adopt the village they are mining near, making sure that young and old alike are fed and clothed, as well as providing education. 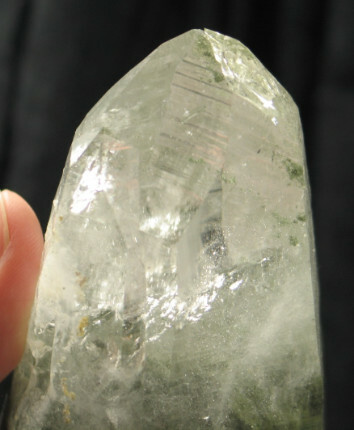 These crystals are on the expensive side, but considering the care and reverence to the earth and the crystals, as well as the altitude and distance they have traveled, they are truly a rare treasure. 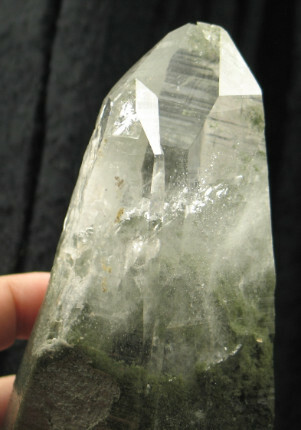 A crystal with two points on a common base is called a twin crystal. 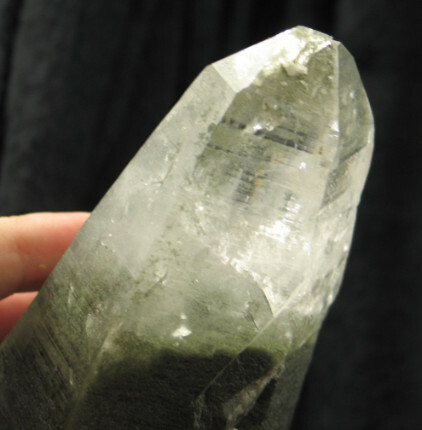 You can tell a twin crystal from two crystals that are simply attached to each other, by the fact that both parts of a twin crystal are exactly parallel to each other, and have no boundary between them. 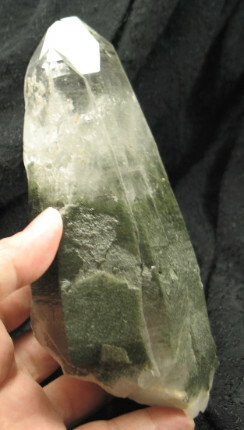 It is believed the Twin crystal can generate positive energy toward improving a relationship. They can help you gain insight into the underlying problems in a relationship, and help work through them. This works for any kind of relationship, not only a romantic relationship. A twin with a rainbow can be very effectively used to project healing energy into a relationship or to keep a good relationship strong.